Our high quality H Beams are manufactured using superior grade material and have the ability to support high rise or heavy constructions. In addition, these have features like rust resistant finish, structural wear and tear resistant finish and high level of tolerance. 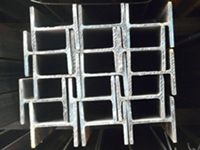 We are successfully engaged in offering a commendable array of H-Beam. The products offered by us are highly appreciated by our clients for their finish and high durability. 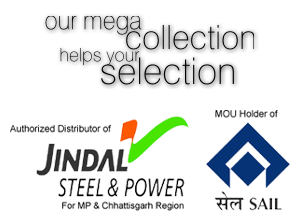 Clients can avail the offered range from us in various customized options at competitive prices. Television towers, car trailers, rails. 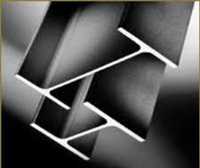 Narrow Parallel Flange Beam are the most sought after sections by structural engineers, architects and construction companies the world over. With universal rolling method, beams having same depth but with different flange widths, are manufactured, which would mean, there will be a choice of larger number of beams, with different weights in kg/m and statistical properties for same nominal size. Produced as per various Indian standards, Our PFB are superior in terms of strength, efficiency, higher axial and bending load bearing capacities, workability and economy vis-à-vis conventional tapered flange beams. Utilities Buildings and Car Parks.